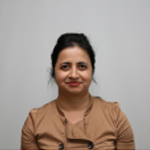 Dr. Kanika Singh is an Electrical and Instrumentation Engineer, Corporate Technology group and Project Manager at American Bureau of Shipping, Korea. She is a member of IEEE from 22 years and now acting as a Senior Member IEEE USA. Recently she was awarded at the global competition for the future standardization proposal by IEC GM- 2018. Dr. Singh obtained her Ph.D in Engineering from Pusan National University, South Korea, the Masters in Engineering in Electrical & Instrumentation from Indian Institute of Technology (IIT), Delhi, India and University of Karlsruhe, Germany (under DAAD Fellowship program). She has over fifteen years of experience. Dr. Singh is the recipient of Brain Korea (BK21) Award ,Korean Research Fellowship (KRF) award, IEEE Outstanding Young Engineer Award (2005-2006), DAAD (Deutscher Akademischer Austauschdienst) German government fellowship award, Outstanding research paper award at 7th Cross Straits Symposium on Material Energy and Environmental Sciences at Kyushu University, Japan (2005)), Visiting International Scholar KU-Leuven, Belgium(1999) and Best paper Awardee from Region10, at IEEE Int. Conf. at Atlanta USA, (1999). She is a Senior Member of IEEE, USA (highest grade of IEEE members for their distinguished contribution) and IEEE Women in Engineering. She was one of the selected candidates from 55 countries for International Scientific and Instrument Technology Center (ITRC) workshop, Taiwan (2013). She is also a member of IEC TC 18. Research Areas include: E&I, Sensors, Digitalization, IoT, Artificial Intelligence, Big Data management, MEMS/Nano Technology and interdisciplinary research.